Dagie Brundert studied visual communication and experimental film design in Krefeld and at the Hochschule der Künste Berlin. Since 1987, she has worked exclusively with a Nizo Super 8 film camera, with which she created numerous experimental films of different lengths. She develops her films in substances such as caffeol, seaweed, red wine, beer, strawberry or elderflower. Her first production in 1988, the animated film titled 23 Barbiepuppen kippen um / 23 Barbie Dolls Collapse, was on the International Film Festival in Rotterdam listed. In 2007 she shot her first long documentary together with Gabriele Kahnert: Calexico Next Exit is a road movie which follows a group of passionate fans of the American-German TexMex band Calexico. 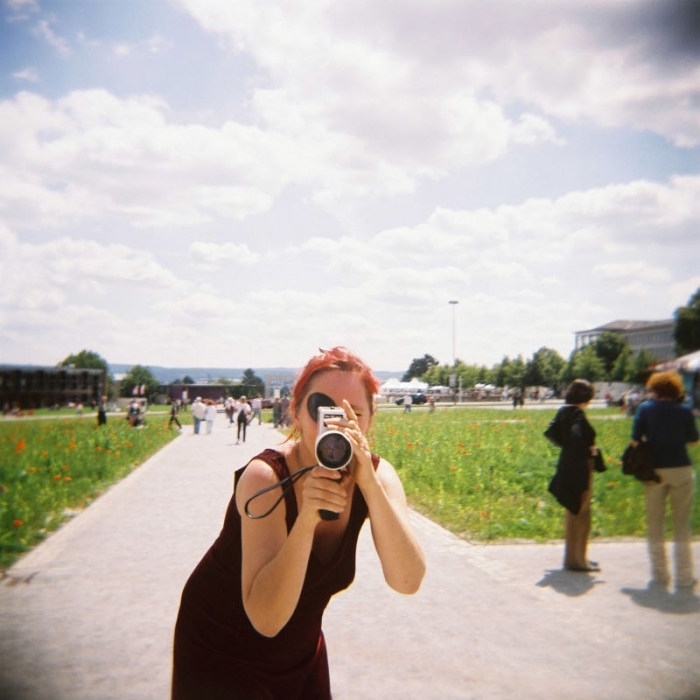 She is co-founder of comic publishing Jochen Enterprises and also works in pinhole photography. During her residency, Dagie will make a series of films and pinhole camera photos of and about Willits.